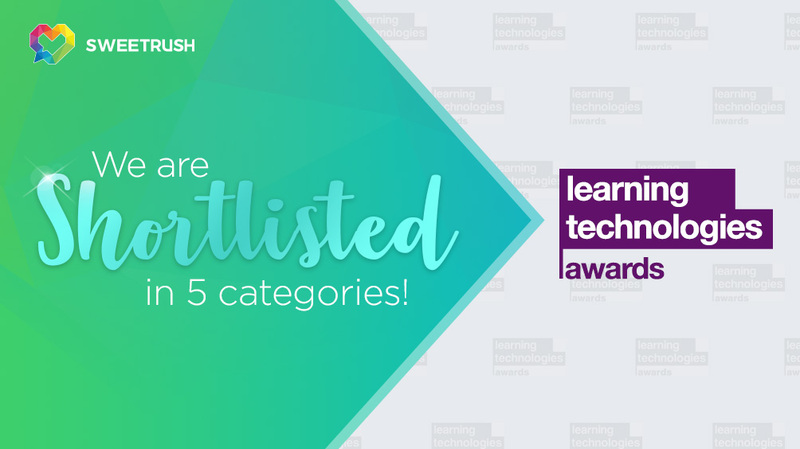 SweetRush makes the shortlist for the Learning Technologies Awards 2018 in five categories, highlighting its strengths in virtual reality, learning games, blended learning, and custom content design. San Francisco, Calif., October 1, 2018 —Learning Technologies recently announced its shortlist for its 2018 awards, and SweetRush made the list in five categories. SweetRush made the shortlist in the following categories: Best learning technologies project – international commercial sector, Excellence in the design of learning content – international commercial sector, Best learning game – international, Best use of simulations or virtual environments for learning, and Best use of blending learning – international. All shortlisted entries are being evaluated by an independent panel of L&D professionals. The winners will be revealed on November 21. This year’s Learning Technologies Awards attracted 400 submissions from more than 20 countries, a record number for the competition. You can find the complete list of nominees, listed by category, on the Learning Technologies website.